The flu can be detrimental and what can you do to recover or prevent from getting the flu can be life saving. Dr. Stewart shares with the audience on how to know the difference between allergies, a cold and the flu and offers his expertise on how to get better through nutritional support and key lifestyle recommendations. Knowing the status of your immune system before flu season can be a big help. Visit www.Neurobiologix.com for nutritional immune boosting supplements. In this episode we discuss with Dr. Stewart one of the major genetic panels from GX Sciences, Immune/Auto-Immune/Inflammatory Panel. We discuss the 30 genes selected, why they were chosen and how to interpret the patient's nutrigenomic report and apply the appropriate treatment protocols. Understanding a person's predispositions and what you can do about them can be a valuable tool in both prevention and treatment. Nutrition is an essential part of any health program. For more information on this genetic panel or to find a GX Sciences' provider visit: www.GXSciences.com or call 844.258.5564. For nutritional formulas mentioned in this episode visit www.Neurobiologix.com if you are a consumer OR www.DrNeurobiologix.com if you are a medical provider. Listen as Dr. Stewart discusses methylation, beyond the MTHFR, and why it holds the key to our health and how to treat naturally. The proper functioning of the entire methylation cycle is essential for CRITICAL reactions in the body." Per Dr. Stewart "The term methylation describes a biochemical process that is utilized in the body for transport of nutrients, energy production and in gene modulation. In patients with decreased methylation activity (i.e. methylation deficiency), there are significant shortcomings in the ability to execute a variety of important chemical functions in the body. These shortcomings can leave the body unprotected from the everyday assault of environmental and infectious agents, sluggish in neurotransmitter production and slow to recover from inflammatory damage. The proper functioning of the methylation cycle is essential for CRITICAL reactions in the body." In this episode we review 2 nutrigenomic panels created by Dr. Stewart for GX Sciences. He reviews the genes variants chosen and tested for SNPs in each panel and how to interpret a patient's genetic report. Listen as we discuss with Dr. Stewart the announcement of GX Sciences genetic solutions company. We will share the process of Dr. Stewart creating 13 nutrigenomic panels and why it was necessary to move our lab to Austin, create the proprietary software SNP Genius, for easy genetic interpretation and nutritional recommendations. These genetic panels now offer lifestyle recommendations and potential labs a medical provider should consider ordering for their patients based upon their genetic results. For more information visit www.GXSciences.com or call 844.258.5564. Listen as we hear from Dr. Stewart new findings in the way ADHD should be treated. We also discuss new gene mutations that can tell us how to treat the patients suffering from ADHD at all ages. Genetics does play a role but other things can manifest this disorder as well. Listen in as we discuss with Dr. Stewart the explanation and findings of autophagy. He teaches us how autophagy works in the body and shares gene findings that we need to pay attention to. For more information on genetic testing mentioned in this podcast visit www.GenomixNutrition.com and for nutritional formulas mentioned visit www.Neurobiologix.com. In this episode we discuss how GAD mutations affect so many people today. We talk about why those with GAD mutations tend to suffer from anxiety, poor mood, poor sense of well being and sleep problems. We also discuss how a person with GAD mutations can overcome this mutation nutritionally and through other ways explained by Dr. Stewart. For information on products mentioned in this podcase please visit www.Neurobiologix.com or call 866.500.5388 or for information on nutrigenomic testing visit www.GenomixNutrition.com. Many people look good on the outside but stress could be killing them through a constant inflammatory state. 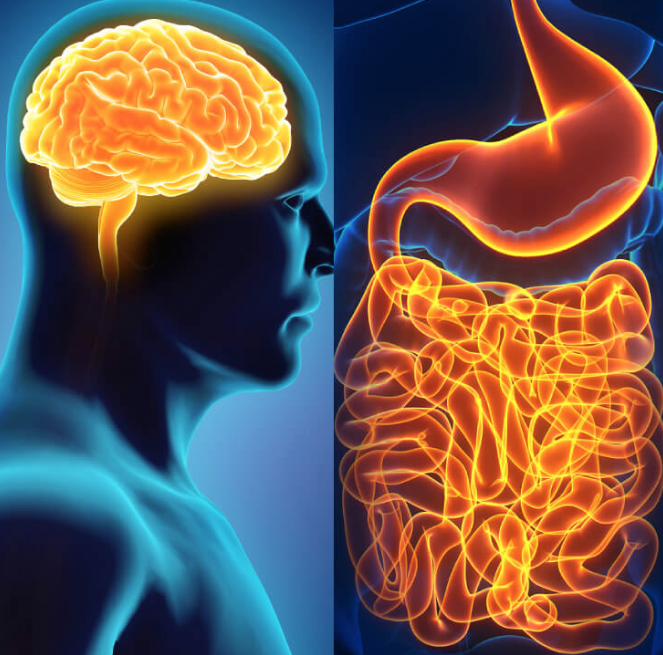 Learn to decrease brain and body inflammation naturally. In this new episode, we discuss with Dr. Stewart physical stress vs. emotional stress and how they are different. We find out how over time the affects of emotional stress can create disease and health problems. We will also discuss how to help yourself through stressful times through nutrition and potentially finding out your genetic profile that can help you understand why you stress the way you do. We discuss nutritional elements for stress such as CBD and PEA for inflammation control and low dose Naltrexone. For more information visit www.Neurobiologix.com for nutrition mentioned in this podcast and www.GenomixNutrition.com for information about genetic testing.